Emil “Bully” Lang was born on 14 January 1909 at Talheim (near Sontheim) in the Neckar region of Württemberg. Lang was a well-known track-and-field athlete and professional civilian pilot with Lufthansa before World War 2. He earned the nickname “Bully” from his bulldog-like appearance. At the outbreak of World War 2, Lang was serving with a transport unit. In 1942, he was accepted for fighter pilot training. Lang was posted to JG 54, based on the Eastern Front, at the beginning of 1943 and, at 34 years of age, was one of the oldest pilots in the Jagdwaffe! Leutnant Lang was assigned to 1./JG 54. He gained his first three victories in March. In April, he transferred to 5./JG 54 and, by 20 August, had been appointed Staffelkapitän. In October and November, Lang claimed 101 victories (25-125)!. He recorded 68 victories during October, including 10 on 13 October (50-59) and 12 on 21 October (60-71) for which he was awarded the Ehrenpokal. On 3 November, Lang claimed 18 victories over the Kiev region (101-118).  He was awarded the Ritterkreuz on 22 November for 119 victories. Three days later, Lang was awarded the Deutsches Kreuz in Gold. On 9 April 1944, Oberleutnant Lang was appointed Staffelkapitän of 9./JG 54 engaged in Reich Defence. He was awarded the Eichenlaub (Nr. 448) on 11 April 1944. In June, Lang claimed 15 victories, including his 150th victory on 14 June and four USAAF P-51 fighters shot down on 20 June. Hauptmann Lang was appointed Gruppenkommandeur of II./JG 26 on 28 June 1944. On 9 July 1944, Lang shot down three RAF Spitfire fighters in five minutes, on 15 August, two USAAF P-47 fighters in one minute, on 25 August, three USAAF P-38 twin-engine fighters in five minutes and on 26 August, three Spitfires for his final victories. On 3 September 1944, Lang had had mechanical trouble with his aircraft. When he finally took off from Melsbroek at the head of a three aircraft Kette, he had difficulty raising his undercarriage. Ten minutes later RAF Spitfires XIV of 41 Squadron intercepted them. Lang was last seen diving vertically with his undercarriage extended. His Fw 190 A-8 (W.Nr. 171 240) “Green 1” hit the ground and exploded near St Trond. He was shot down by Flt/Lt Terry Spencer. 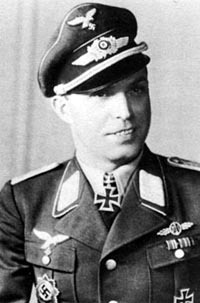 Emil Lang is credited with 173 victories in 403 missions. He recorded 144 victories over the Eastern Front and 29 victories over the Western Front (including nine Spitfire, nine P-51, six P-47 and four P-38 fighters), 28 of which were claimed over the Invasion Front, the highest total of a German ace.